Showing results for tags 'minelab gpx'. New story thread.... Leaving for OZ around May 4th this year-- Can't reveal the details because it is super secret this year.... But hope to be upload some better video this year--- I have been searching for the simplest way to use a camera while in the field... I haven't found any yet that are that simple, most ways i have tried become so time consuming that they interfere with my fun and relaxation!!! ANd my TAsk mAster dont like it when i am ... "fkn around!" If he sees too many videos or pictures he will scold me... Maybe a selfie, "follow me" cheapie drone----- I could hang a piece of bait meat on it for the flies while it is hovering near me,,,LOLOL This is Jan 20th and I will be traveling to LA on Feb 3rd ..for my last 3 months of "work" Carry on ! KiwiJW was keen to go for a prospecting trip yesterday which I was excited about, last time we went out I found a 0.62-gram piece which is certainly one of my bigger ones. We tend to have a lot smaller gold than the Aussie’s which makes hunting for gold quite the challenge when the average size found is probably within the 0.0X grams range. I couldn’t imagine hunting for gold when the average size piece is in the 0.5+ gram range or larger, I often get those big booming signals and as I get tired later in the day or on a hot day when I can’t be bothered just walk past them as they’ve been almost always 22 shells, but this day was different, even though I’d forgotten my lucky hat. We first went to an entirely new location for me which was a nice lake with old workings at it, I first had some trouble getting a ground balance with my GPX 4500 here, it took me quite a while to work out what to do, I was considering just putting it down and using my GM1000 but seeing I only had the 5” coil with me it didn’t seem optimal in such a big area. In the end I just changed out of sensitive extra which I’ve stuck in since I got my GPX and went into normal, I haven’t needed to do this before but there was no way I was going to get a ground balance in this soil, it was near white soil with lots of nice gravels and quartz in it and looked very promising. It’s lucky I had my little GPX timings chart with me that Steve had made up, it helped a lot in this situation. Steve's awesome GPX timing Charts There were lots of dig holes around from somebody in the area and the person who did them was annoying as a lot of them already had a signal in them which I re-dug only to find a bit of junk so I suspect the person was throwing the junk back into their holes. JW was off in the distance detecting the bedrock which goes down into the lake, this is normally covered in water but on this day due to lack of rain I guess the water level was low exposing this bedrock. No luck was had at this location so we decided it was time for a fuel up at KFC before heading to a spot I call old faithful. JW shouted lunch and we had our usual feast, it’s a tasty treat, then we were all charged up and ready to go. Old faithful is one of the first places I’d been to and we regularly end up here but it’s usually productive for us, JW does particularly well here and it was home to my old gold miners silver ring I found some time ago. I switched back to sensitive extra timings here. Once at old faithful we did something different and detected right at the entrance, an area we have walked/rode on the E-bike’s past so many times but I’d never detected before. We split off in directions and starting going for it. JW was quick to find a bit to keep me motivated and it was insanely small, I can’t believe he can find bits this small with his GPZ but he does, and he does regularly, it’s no fluke. I will leave the story on his bits to him as it’s pretty amazing. I said to him, "oh that bit’s so small, there is no way I’d be able to get that with this detector" (GPX) so he waved it over my coil and what do you know, a signal, waved it deeper, a signal again, waved it at the depth he found it with the GPZ, and again an obvious signal! What is going on I was wondering, then I realised exactly what it is, I’d modified my settings and threshold due to the wonderful post Northeast did about thresholds on the GPX. He explained to me how to adjust my threshold, the thread also talked about volume levels which I also took note of and adjusted. I was incorrectly running my threshold very high, and also had my GPX volume level very high and then going into my booster and the cranked up high again. I gave JW my gold bottle to store his bit in as he’d forgotten his as he was likely to need it more than me. The grass growth was pretty insane, it's normally a dry desolate place, this year has been different. Fortunately this time the grass was easier to push over than last time so we were able to swing crushing the grass down What I was doing now is turning my threshold right down so it was silent, then I turned up my threshold so it was just audible and stable and left it there. As for my volume I had the volume turned down very low on the GPX itself, and used the Steelphase SP01 enhancer to control my volume, I had it turned up to a comfortable loudness on that which gave me nice clear crisp audio, I had it in my preferred setting of Filter 2 using its pseudo stereo mode wired to 2 x GME SPK08 speakers wired in stereo. This location is known for it’s pellets and using a HF VLF like my GM1000 is just a nightmare here as you will spend your time digging pellets, 20 or more pellets is not usual but this is where the magic happened, my GPX was now doing as well on pellets as my GM1000, it was detecting pellets everywhere, even quite well buried ones, this new volume/threshold settings combination was opening up a new world of small targets I was missing. I normally got six or so pellets a day with the GPX here, now I was finding them constantly. It felt like these new GPX settings combined with the Steelphase SP01 enhancer and the Nugget Finder 14x9 EVO coil had just majorly enhanced the sensitivity of my GPX to small gold. Thanks Northeast!! I didn’t mind at all spending my day digging pellets as I was hoping it meant I’d find a small bit of gold that this spot is known for and JW had already just found, a real confidence booster for me. Shortly after something else unusual happened, a guy walked up and surprised me out of nowhere. He was carrying a Makro Gold Kruzer he’d bought three days earlier and was a newbie at detecting but had done a lot of sluicing in the past. He was keen for any tips I could give him so I gave him a few good tips on where to look but warned him that thing is going to eat pellets all day long, he walked off all excited about the prospect of finding gold as I told him JW over there has found a piece already and we’ve only been here 30 minutes or so. It is so rare we stumble across another detectorist, we’re more likely to find a gram+ piece of gold than see another detectorist 😊 I kept wandering around digging up pellets and small shards of metal excited knowing I’m really gelling with my detector on this day hoping a little bit of colour was on its way and then I stumbled into an area I will now call Mr Pocket 😊 I had a big loud signal, I assumed it was going to be a 22 shell as I’d just dug a few of them in the same little area of about 4m x 4m but this time it was different, it was gold! I walked over to JW and said I’m going to need to share the bottle 😊 he was excited for me and I showed him my bit which I described as almost needing a wheelbarrow to get it over to him and we dropped it into the bottle and back I went to my spot. It was the most unlikely of spot, no bedrock, no signs of any gold workings, just a grassy area near the creek side within about a meter or so of the dirt road. 0.294 grams, not too bad, It looks bigger than it weighs for some reason, it's a lumpy one. This was quite a big piece for this location and seeing it was such a loud booming signal I kept digging booming signals in this little area and out popped another big one! I took it over to John to put in the bottle and said I’m onto something down here, and so Mr Pocket was born. He now passed me the jar and said looks like you’ll be needing to hold onto this 😊 It was almost down the depth of my scoop but was a loud booming signal. My first ever nugget over a gram! A rare find. I went back to my spot and the next thing to pop up was another bit of gold, this time not so big and more in line with our usual gold sizes around here but still, small for me with my GPX and down about 3 inches. Pretty impressive and thanks to my new settings. This little guy wasn't particularly deep, 2 to 3 inches I'd guess. But it sure is tiny for the GPX and it was such a nice stand out signal. I now felt I’d gone over this little 4m x 4m patch to my ability level so I called JW over to see if he could get any more out of it with his Zed and GB2. I didn’t have a HF VLF with me so I was hoping he’d end up finding some gold the GPX missed with his two high powered weapons. I showed him my spot and took off looking for a new spot. Shortly after “new guy” walked up again, he’d been detecting about 30 minutes’ walk further along the roadside with his Gold Kruzer and had only found what looked to be 4 old rusty nails and a 22 shell. I thought something is wrong here, a 61khz detector and no shotgun pellets in a place riddled with them. I scattered a few pellets Id found on the exposed bedrock and asked him to wave over them, nothing at all even touching them. I dropped my gold bottle on the ground and asked him to wave it over it, nothing, absolutely nothing unless he virtually touched the jar and then it did a threshold change. Something isn’t right here. I’d never seen a Kruzer before but helped him out with his settings on it and then got him to re-test over the bottle, this bottle had a piece over a gram it in, this thing should be screaming on it, and now it was working and picking up the gold at some depth. His gain, discrimination and mode were now adjusted. I still don’t know if it has the right settings but I told him he should be reading the manual. It was now picking up pellets too but not to a level I’d consider good. He said it was a choice between the Kruzer and GM1000 but he picked the Kruzer. He was disappointed he wasted the afternoon with the wrong settings so even If he passed a 1 gram bit of gold he would of missed it ☹ This is where the simplicity of the Gold Monster shines, if he had of bought that, he would have been fine right off the start line. He was appreciative of the help and we parted ways. This made me think back to how lucky I was I had KiwiJW and this forum to help me out with my prospecting or I'd be in the position of this poor guy trying to work it all out alone. I went down to check how well JW did in Mr Pocket but it seems I’d cleaned it out, he got no more gold, reassuring in a way but also disappointing as I was hoping JW would get some out of it. I will leave it to JW to tell his side of the day, all I will say is him and his ability to operate his GPZ is a shock to me. Here is a majority of the junk from the day, I'd lost a few pellets out of my pocket and I'd dumped a few on the ground for the new guy to test his detector on but I sure got a lot of small junk showing just how sensitive the GPX was. I was regularly finding shards of metal even smaller than pellets. 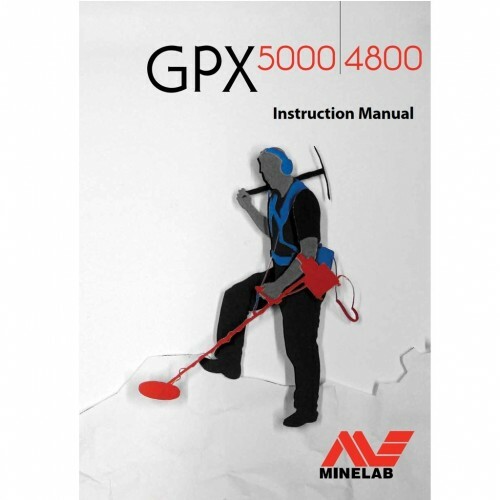 The Minelab GPX 4500 with the 14x9 Nugget Finder EVO combined with the audio provided by the Steelphase SP01 Audio Enhancer is a deadly combination, I've never used a SDC2300 but it has to be getting up there to it's small metal finding ability because I know it's getting pretty close to that of my Gold Monster 1000. It was now time to head off, another great day prospecting and now my confidence is on a high. I enjoyed going back to Johns house afterwards for a coffee and showing off my gold finds to Mrs JW,. Thanks for another good day John. A few months ago when talking to the guys at nugget finder about coil options they hinted at a new small coil coming out soon, here is the news i was waiting for. Some exciting news for GPX users, a super sensitive coil with good ground coverage in the evolution windings, will be interesting to see its performance especially compare to the new coiltek 9" and also the SDC. From the nugget finder website https://www.nuggetfinder.com.au/products A NEW EVOLUTION IS COMING The 12"x8" Evolution will be released in August 2018 AMAZING SENSITIVITY COMBINED WITH GOOD GROUND COVERAGE LIGHTWEIGHT - ONLY 740 Grams More Details and Pictures soon to be released! With all the newer transmit/receiver style units out there now I was wondering if there was an update for anyone that has made the jump to wireless for the GPX and how it is working out. I have tried two systems so far and not bee happy with either one. Detectnix (sp) unit with their headphones....it worked but there was interference pending on where the unit was located. One video on YouTube showed putting it in a specific spot on the control box and it helped...but still got a lot of signal dropouts and static sound, there is also a delay in audio. I went to a newer low latency Bluetooth dongle and synced my Equinox wireless headphones to it. It too works, but still has the static sound to it. The signal doesn't or hasn't dropped out yet and there is only a very very slight delay in the signal. It is useable but I'm wondering if there is something better out there. I see Gray Ghost has a set of headphones and dongle for the Minelab machines. Also wondering if the Garrett Z-Lynk headphone kit would work well with the GPX. 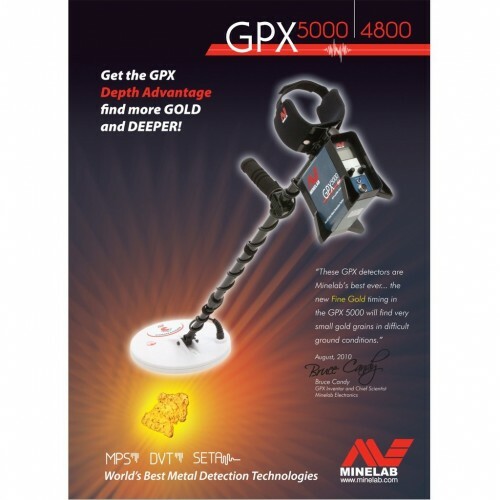 Minelab has the ProSonic but is the most expensive of them all and reviews are not what I hoped to see as far as the GPX goes. Here is my problem. I bought this used and I know it's older then 3 years and it was working fine. I can hear the threshold but I can't hear the target response. In this case the target is a gram nugget. I have a metal fire pit in my backyard and I have to put the coil about 6 inches from before I hear a response. This problem comes and goes for what it's worth. I have tried different coils with the same results, used those same coils on my 3000 and everything is dandy. On the front panel I have the switches set as Fixed, Double D, Normal, and General. ( I was using Double D coils) I have tried the Factory preset and the problem is still there. Any ideas before I sent this off to Minelab? GPX 5000 Using " Bogene's Settings "
Daniel Teague Published on Dec 27, 2018 - Took the 4800 to the bad dirt bullet site with the new to me DeTech Spiral 15" coil. Also had the Nox 600 with me with the 12x15 coil too, just to play around with it. Last week I visited my favorite gold beach and hit an area at the end of the day that produced 5 silvers, a couple of war nickels and 8 wheat pennies. Much better than the limited amount of clad I found the first part of that day. It was posted in the Equinox forum under Equinox and EMI. Today I hit that same area with the GPX instead. Being a holiday, I figured there would be limited train runs, and for most of the day that was the case. I ran the GPX as hot as I could handle and put on the 12 1/2" DD coil to get the most depth I could get. It worked! Had a great hunt. Some oddities for the day included a nice old Ford key, a twisty tie (bread tie) that fooled me for a bit, as it is the brightest gold foil that I have ever seen. Thought I had a gold chain But the oddest thing I found (or actually re-found) was a deep (18+ " ) remains of a Pringles potato chip can. I found it a while back and the chips still looked like the day they were made. I never took a picture of them and left most of the remainder of the can and chips in the hole. Well, today I came across it again and took them home. Unbelievable what they label as food these days! As for the goods, I found 21 Wheats (one wrapped in red cloth from a change purse? ), a bunch of silver coins including some war nickels and a W/L half. The best find of the day was the unmarked gold ring. Gold beach gave me some yellow today! As for depth on the coins? Nothing was shallower than 9-10" And 2 of the Mercs came in as a repeatable ground mineral signal. If you use a GPX you will know what faint ground variations sound like, I dug a lot of those today and most disappeared when you took some sand of the top. But 2 of them got louder and I knew I had a small fringe target. What I was surprised at was, that both of those dimes came in at a measured 18". I used a pin pointer to locate them and dug the last inch by hand. I wanted to make sure I did not drop the target back into the hole while digging deeper. I needed to see just how deep this machine can go with no EMI present. I am still in awe of how good that GPX 5000 is. So, a great start to the New Year and hopefully I can count on the GPX/Equinox combination to handle any beach conditions I come across. Hi guys I was wondering if anyone out there could tell me what ones best of these two coils I've herd alot of good things about the 12 round nugget finger coil but like the eleptical coils as can get them in places the round won't go and I know the 12x8 is fairly new .but thought I'd ask if anyone has any experiance with it compared to the 12 round ..on depth and sensitivity? GPX Power Cord Why Why Why?!! Just my opinion...I feel the power cord that goes from the battery to the detector is the weakest link in the whole detector system. You can just breath on the thin metal around the plug prongs and bend it. The factory Minelab ones are super fragile. If you barely bump them on something, they are going to bend. Last week I was hooking myself up to go detecting and the cord end hit the ground. Not pavement mind you...just grass and dirt. I picked it up and saw it had bent it! I luckily had a pair of needle nose in the truck and was able to halfway bend it back in shape to where I could hook it up but I was worried about it breaking. This isn't the first time this has happened with previous GPX models. Anyway...I decided to go after market on the cord. I bought a CoilTek and it came this morning. To my dismay...it too is very thin and came out of the shipping package bent! Why can't they make those things a little tougher!?? Such a critical part that is made so flimsy and cheap. I know a lot of guys go to the Gold Screamer pack and eliminate the big cord all together. I tried one and did not like the sound quality so I went back to the regular setup. I don't even mind being tethered to the battery...just wish the ends of the power cord were beefier. I was at a DIV one year where a guy dropped his cord in the hotel parking lot and he bent his so bad that he couldn't straighten it well enough to use. His hunt was shot because of a small incident. Daniel Teague Published on Dec 5, 2018 Some of you guys were curious as to the tone differences between a Minelab GPX and Whites TDI. This is the GPX 4800 and TDI Beachhunter and a little bit of why I like the GPX better when it comes to relic and beach hunting. I find this stuff really interesting, to the point I'm making my daughter her own little detector, I've got all the bits together and now it's time to start making it. It will be more of a pinpointer, a bit of fun however it won't have any sort of housing unless I can come up with something. I could make it like an early model detector out of wood or something 🙂 So here is a video of a guy making his own coil, pretty simple one but looks like it works alright, he just used coax cable for the coil cable, I guess it's well shielded and strong. I thought some others may find it interesting, more to see what's inside a coil more than anything. I expect the genuine coils will have tighter wound wires and the flat wound coils would be much more difficult to do than this. I suspect most the cost of coils is labour, especially when a lot are handmade still like Nuggetfinder coils. What Do Those SDC GPX And GPZ Settings Do? Published on Apr 12, 2018 by steelPHASE In this video I talk about the settings on detectors, aiming mainly at the Minelab GPX, SDC and GPZ series. My aim is not to tell you what settings to run, but rather give you the knowledge to make informed decisions on settings out in the goldfields. Now I am no Einstein so I do stumble and fluster in a few spots but I have edited in some text to make things clearer (hopefully). Just thought I would share my wireless setup for anyone thinking of trying this. I have used Avantree Saturn Pro (Low Latency) bluetooth Transmitter/receiver and some Camcorder batteries. I have also got a couple of Lipo batteries from my RC which run the 5000 really well as they keep their voltage for longer. The leads I made myself with genuine power plugs and a deans RC battery plug and a 1/8 audio jack so as to go straight into bluetooth wireless module. These little module are very good and are lasting well over the 8 hour mark on a charge, and their size and weight make them very versatile. The 7200mah pack and wireless module come in at 325 grams with leads included this lasts about 5-6hours I have made up a couple of 3400mah packs with 18650 cells and these weight 180 grams with module and leads and lasts about 3 hours. I have a 5000mah Lipo hardcase which weight 200 grams with both wires and module, this goes for 7 hours before the low voltage alarm comes. Lipo batteries aren't for everyone as they can be a little volatile, but I am yet to have one explode and treat them with care when charging with a good lipo charger. GPX 5000 -- Not For Novices? 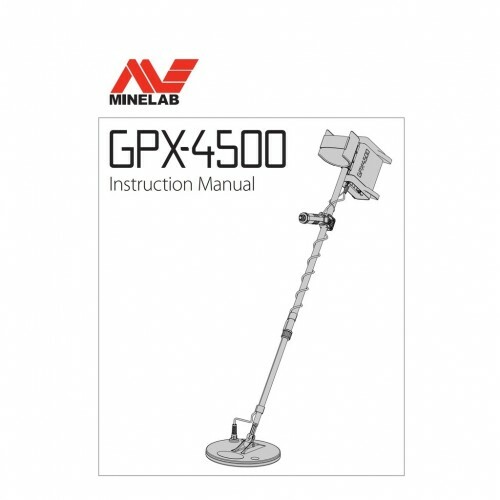 Is it valid that the GPZ 5000 is not for the novice detectorist? 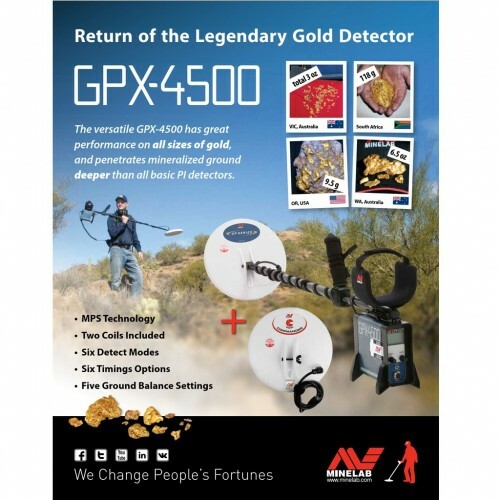 I have read on other forums, and reviews on websites that sell detectors, that this detector is very difficult to set up and operate effectively, and is not capable of productive use "from the box" -- thus geared for the advanced, deeply experienced detectorist. I ask because when I bought the Garrett ATX I had the means to buy the GPZ 5000, but was intimidated with it due to everything I'd read. Prior to that my use of detectors consisted of the old BFO types and VLF. And am not too tech savvy and impatient with electronics. So, I opted to buy the ATX. But next summer I'm adding to my detectors. Buying at least 2 more, one will be a White's MXT or GMT (Steve's review has been studied word-for-word), and the other ideally a Minelab. If not a GPZ 5000 then the 7000, and if not either then just one new detector. This question has been posted over on Prospecting Australia website. Wondering if the brains trust here might be able to help - OP over there is not getting much response. I've never used a GPX so I'm not much help. If some knowledge can be shared here I'll post the link over on PA and the knowledge will stay here for perpetuity 😉 Thanks. " Does anyone regularly use Specific Ground Balance? How do you find it? Page 60 of the User Instructions says - When moving to a new area the first Specific Ground Balance must be done with the Ground Balance Switch, not the Quick Track Button. Does this mean you can use the Quick Track Button after you've done the first one? I've never used Specific and wondering whether I should have been. Thanks for your help. Cheers "